Laser-Induced Breakdown Spectroscopy (LIBS) is a type of atomic emission spectroscopy for the qualitative and quantitative chemical multi-elemental analysis in real time for a wide range of applications. The measuring principle of LIBS is based on the spectral analysis of characteristic emission lines of atoms and ions. Short pulse laser radiation that is focused on the surface of a sample causes a local heating of some 10,000 °C and leads to the generation of a light emitting plasma – consisting of atoms and ions of the ablated material. Shortly after its ignition, the expanding plasma emits unspecific bremsstrahlung and recombination radiation (continuous spectrum). After some 100 ns atoms and ions recombine while emitting a characteristic emission spectrum – like a fingerprint. 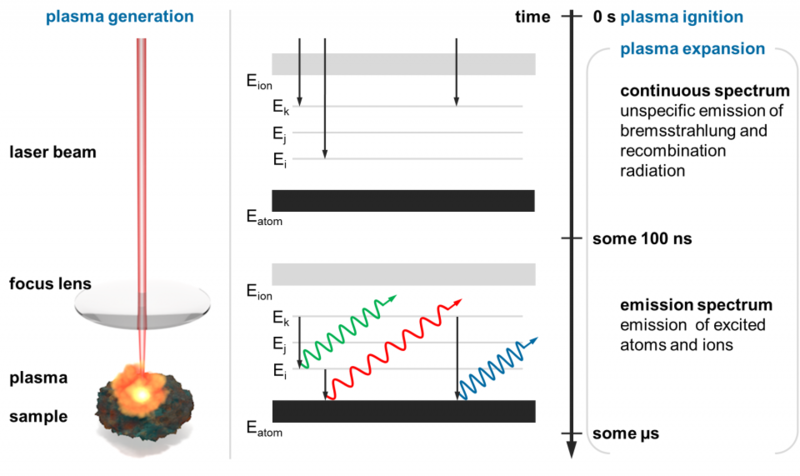 The spectral analysis by means of a high-resolution spectrometer allows the determination of the atomic composition of the sample. LIBS is one of the few analytical techniques which is capable of measuring a large number of chemical elements simultaneously. 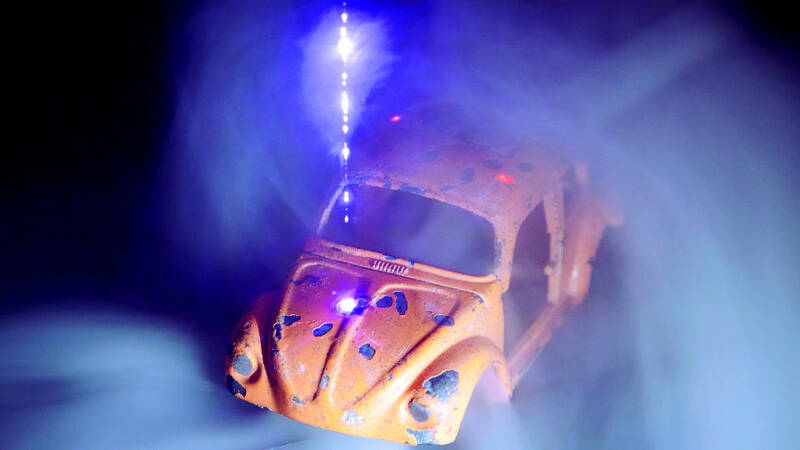 Unlike X-ray fluorescence (XRF) and other methods, light chemical elements can be characterized. LIBS provides multi-elemental analysis with the advantage to quickly determine the atomic composition of an unknown sample with only a single measurement. The detected LIBS spectrum is characterized with the help of atomic data bases and qualitatively assigned to the corresponding elements. Quantitative analysis is based on calibration with reference materials containing different analyte concentrations. Depending on the analyte-matrix, element concentrations in the low ppm-range can be measured. The application possibilities of LIBS are virtually endless. The spectrum ranges from chemical analysis of elements in vacuum environment, contact-free remote sensing in hazardous – e.g. 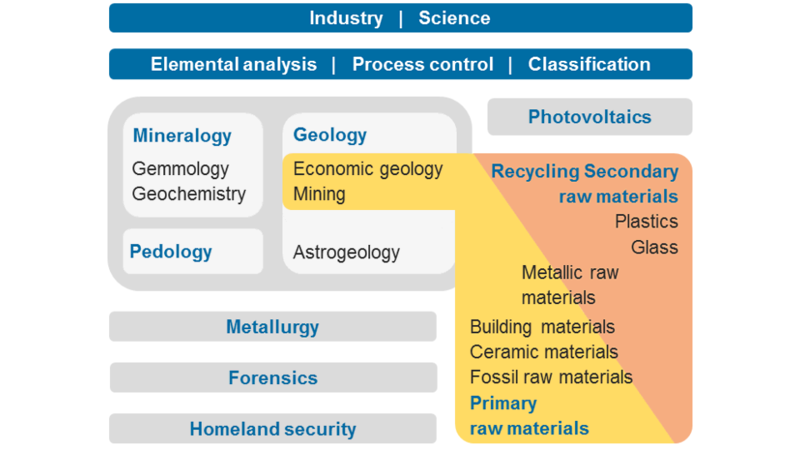 radioactive – environments, classification of geological resources and scrap materials to online quality control of industrial goods. 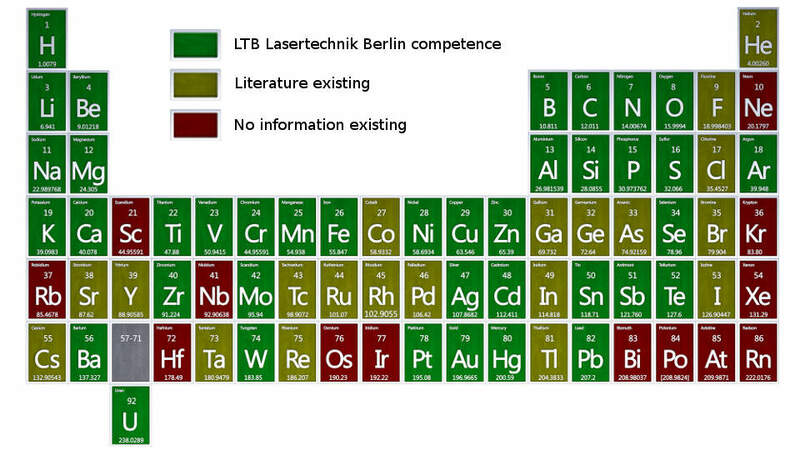 LTB Lasertechnik Berlin offers a variety of LIBS analyzers.